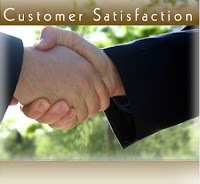 John M. Perez.Com: What Does Customer Satisfaction Look Like In Your Industry? What Does Customer Satisfaction Look Like In Your Industry? Find out what the average ratings for Customer Satisfaction are in your industry by downloading the recent survey by CFI group. Click here for the PDF document.